The DMN inserts a neighborhood supplement every Saturday. 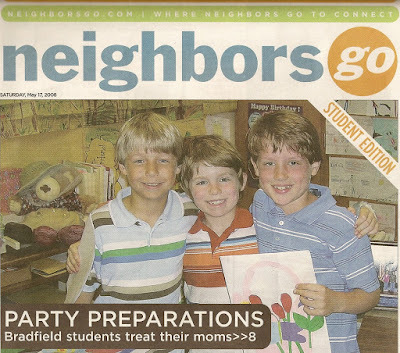 Our neighborhood is Park Cities and today, Little Man made the cover! Click here to read the story, about how his second-grade class hosted a Mothers Day Tea Party. He thought it was very cool to be in the paper.